A common complaint I hear from sales managers is that their sales reps are stuck selling to low-level decision makers: supervisors, purchasing agents, clerks. People at those levels are often concerned only about price, and they treat your offerings as commodities. To break out of that trap, you need to your help your sales reps learn how to reach higher-level decision makers. If your reps can help those higher-level people appreciate the full value of your offerings, price becomes less of a factor in the decision. The anti-sponsor is anyone who may be opposed to your solution. Salespeople get delegated to the level of person that they sound like. Newbie sales reps are usually pretty good at spouting out the features and benefits and pricing of their company’s offerings, and so they get delegated to lower-level buyers. Ask your senior sales reps to talk at a sales team meeting about the types of decisions makers they’ve encountered on different deals. How did they talk with the most senior people? You or your best sales reps can do role plays with the younger sales reps until you’re comfortable they will sound credible when speaking with higher-level people inside the account. Ask the gatekeeper questions that he or she can’t answer—something about functionalities or requirements of a different department in the business, for instance. If the questions the sales rep asks are important to understanding the prospect’s needs from different perspectives, hopefully you’ll get the gatekeeper’s permission to talk to the person who has the answers. If they must, they can go over the gatekeeper’s head and directly contact other decision makers. Obviously, this can alienate the gatekeeper, but it can be useful if done early in the process (keeping with the well-known theme of asking forgiveness rather than permission). By using these techniques, your salespeople will be more successful in reaching the higher-level decision makers and no longer finding themselves caught in a commodity trap. 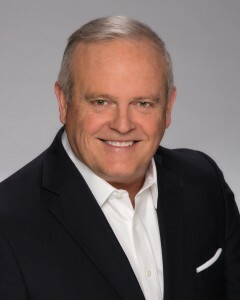 Kevin F. Davis is the author of “The Sales Manager’s Guide to Greatness: 10 Essential Strategies for Leading Your Team to the Top.” The book is available for purchase on Amazon.com. It is so important that sales reps learn how to identify and contact key decision makers. Not everyone is good at this at first, so it is important that they be coached through it. Once they master this skill, they will be able to close more deals.